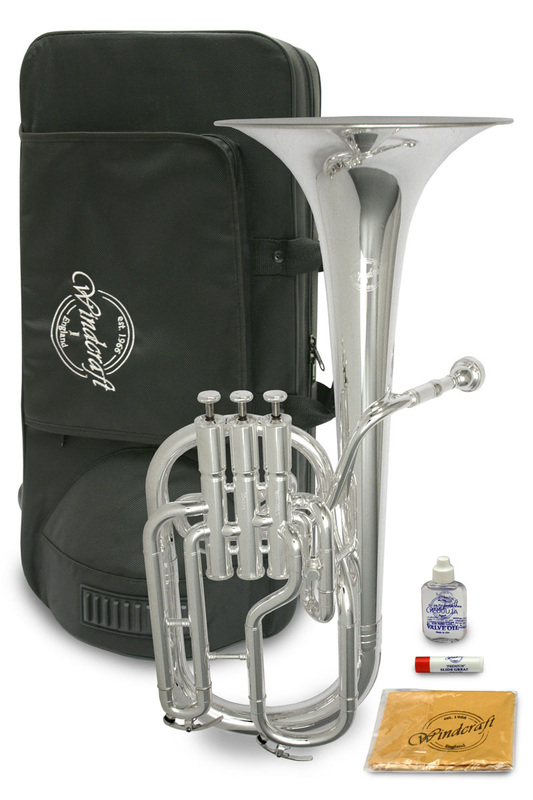 Newly designed Tenor Horn with solid build, stable intonation and reliable valves. Designed with the student in mind this new WTH-100S in silver plate offers great value for money on a large brass instrument. The Windcraft brand is carefully sourced and put through strict quality control procedures in the factory and again in our UK workshops. A specialist technician gives the instrument a final inspection and set-up to ensure it comes to the player ready to blow. An excellent first instrument to start your musical journey on; reliable, easy to play, good valves, good tuning, 5 year warranty. Workshop checked and set-up prior to sale. Supplied in case with relevant accessories. Finished in a durable silver plate.